Even the most novice DIYer will be able to recognise a common nail, but did you know there are 21 types of nails? You can get ones with special heads for later removal, upholstery ones to attach fabric to furniture, and even specially shaped brads and staples for different projects. This complete guide to the 21 different types of nails will help you decide the best to choose, no matter what your DIY project is. Annular nails are coated with zinc and have a ridged pattern down the shaft. This means they grip timber more firmly. Annular nails can also be used with MDF. Brads are fired into wood using a nail gun. They do not have a pronounced head which helps achieve a smooth finish. Pro Tip: Don’t confuse brad nails with brad fasteners, the domed head split pins you find in stationery cupboards. Used for nailing felt and tiles to roofs, clout head nails are distinguished by their wide, flat heads. They are usually galvanised to hold up better in rough weather. Copper clout nails are a popular choice for fixing slate tiles. 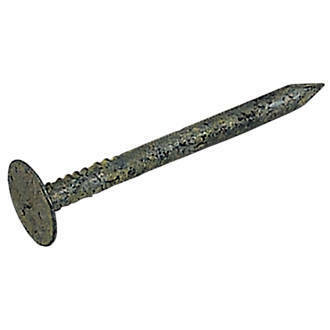 Similar to clout head nails, copper disk rivets also have a wide head and are used for fixing roof tiles. The rivet has a shorter shaft than the clout head. Fired from a nail gun, corrugated fasteners are used for creating a strong fix across a wooden join, often on a mitred corner. Cut floor brads are long and thin, sort of resembling miniature saw blades. They are used for fixing down tongue and groove floorboards, their thin shape preventing the boards from splitting. Clasp nails are a chunkier version, making them extra strong but less easy to remove. As you’d expect, double headed nails have two heads, one above the other. They are used for temporary structures like scaffolding where quick and easy disassembly is required. Simply hammer nail into wood to the first head, then later, pull out nail using claw end of hammer under second head. Used when a smooth finish is required on hardboard items, these nails have a diamond shaped head which sinks into the wood. Lost head nails have small heads that tap right into the wood. This makes them a good choice for carpentry projects where a smooth finish is required. They are also safe for children’s furniture as there is nothing for skin or clothes to get snagged on. Masonry nails are used to fix lightweight wooden objects to brick or concrete walls. For heavier items use screws or nuts and bolts. Used for timber joinery, these nails are strong. Their oval heads mean they can be hammered just under the surface of the wood. Oval nails are less likely to split wood than their common sibling, the round wire nail. The thinness of a panel pin belies its strength. They are used in carpentry to give a neat finish, and are most commonly seen fixing the thin back panels of cupboards to the rest of the unit. They are sometimes sold in a copper finish for added decoration. 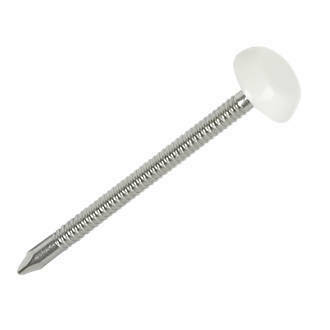 Plasterboard nails are a cheaper alternative to screws and are easier to put in, but do not provide as strong a hold. Plastic headed nails have metal shafts but the heads come in a variety of coloured plastic. They are used for putting up soffits and fascias, so choose the colour that corresponds with those. The most common type of nail, round wire nails aren't pretty but they are strong. They are used for joining timber when a fancy finish is not needed. Caution should be taken when using round wire nails as they have been known to split wood. Very similar in shape to a cut floor brad, sprigs hold glass in window panes before putty can be applied. 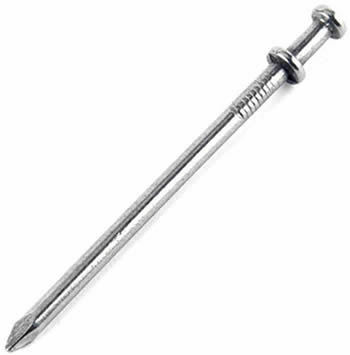 While the head is round, the shaft of the nail is squared off and then twisted. 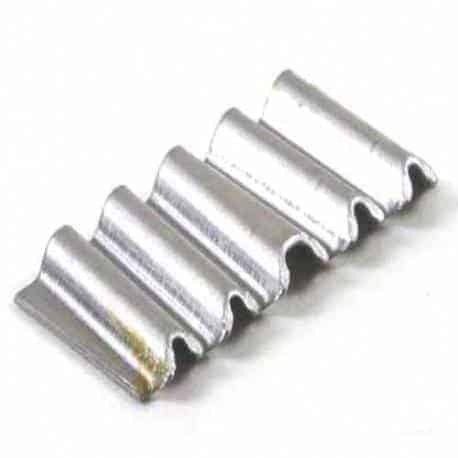 They are used for fixing metal plates to joists for a firm hold. 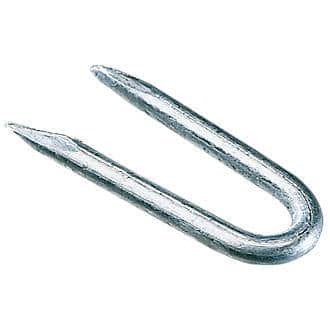 Slate hooks look like a shepherd’s crook with a bent point at one end. They are used to fix slate roofing tiles in position. 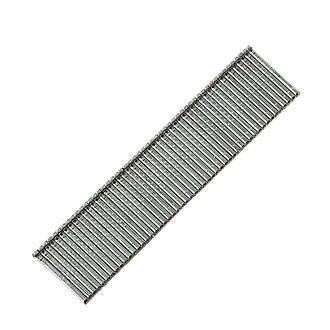 These rounded wire staples are used to fix wire fencing to a timber frame. The strong staples are fired from a nail gun. Tacks are angular staples, similar to the kind that fasten paper. These are stronger, and fire from a gun to attach fabric to wood in upholstery projects. Short shaft nails, these come in a range of decorative finishes for fixing fabric to wood in upholstery projects. Hopefully this exhaustive list of types of nails wasn’t too exhausting to read, and you now feel qualified to pick the right nail for your DIY project. If you have found this list helpful, please share!